Well I’m actually writing well ahead of midnight, as I am going to Manchester to stay overnight at the Airport Hotel in order to catch a flight to Dubai in the morning. 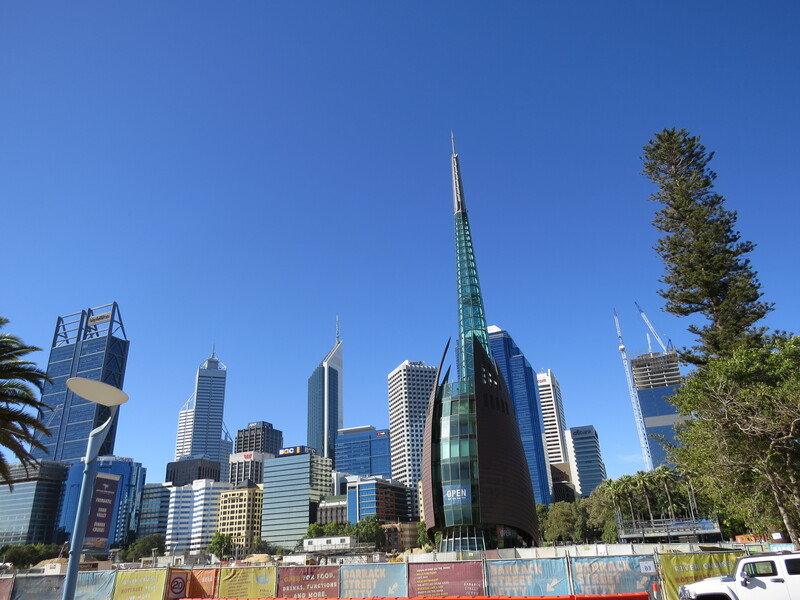 I change planes there and should arrive in Perth Western Australia at lunchtime on Friday. I hope you have had a better Christmas than me…most of which was spent in bed with a nasty cold/flu bug. This won’t be the first time I have gone away in ill-health…but I have every confidence that a bit of Australian sunshine and fresh air will soon have me put to rights. This will be a rather short message to let you know that I have arrived in Australia safely…it is hard to believe that I saw dawn break in Manchester yesterday, and today the sun is setting right now in Perth. Both flights went as well as could be expected for such long haul journeys. However, whilst the flight from Manchester had plenty of spare places, the one from Dubai was fully booked. The ultra-sensitive security equipment in Manchester picked up the metal zips in my trousers…but at Dubai, the machine at gate 30 was broken so the process had to be done by hand…with the consequent bottleneck of passengers. Our flight was delayed by over an hour…but hand screening at security wasn’t the cause. An unfortunate passenger was taken ill, and had to be disembarked from the plane…then her luggage had to be retrieved from the hold, and finally, the airport authorities insisted on an onboard luggage check of all passengers. It says a great deal for the skill of the pilot who coped with repeated missed take off slots and queueing to taxi to the main runway. We must have been delayed for well over an hour… but we arrived in Perth less than 15 minutes behind schedule. I had my evening meal at the YHA and was joined by 3 French lads from Normandy, a German lad from Hamburg and his fellow countryman from Potsdam near Berlin. We had a lively conversation about our love of Australia and New Zealand….with a wealth of amusing anecdotes to keep us going for quite some time. Jet lag is kicking in….so I am having an early night. The YHA reserved a bottom bunk for me as requested. Bless them! The temperatures were up today in Perth…so it was good to spend some time by the sea. But first, I went to the 10.00 am sung Eucharist at St George’s Cathedral where the sermon was delivered by Bishop Michael Challen. The service setting was by Michael Dudman…straightforward and easy to sight read….yes, the melody line is actually printed out in the order of service. Afterwards I congratulated Colin van der Lecq on his fine playing …especially the postlude…a Fantasia by Telemann and his improvisation before and during the service. I arrived early so was able to listen to Colin practising…and was well impressed by what I heard. Colin is the Cathedral’s assistant organist and has Dutch parent…highly appropriate…the cathedral organ is a fine new instrument by a Dutch born organ builder. After returning to the YHA to change…I then walked to the station to buy a day ticket. 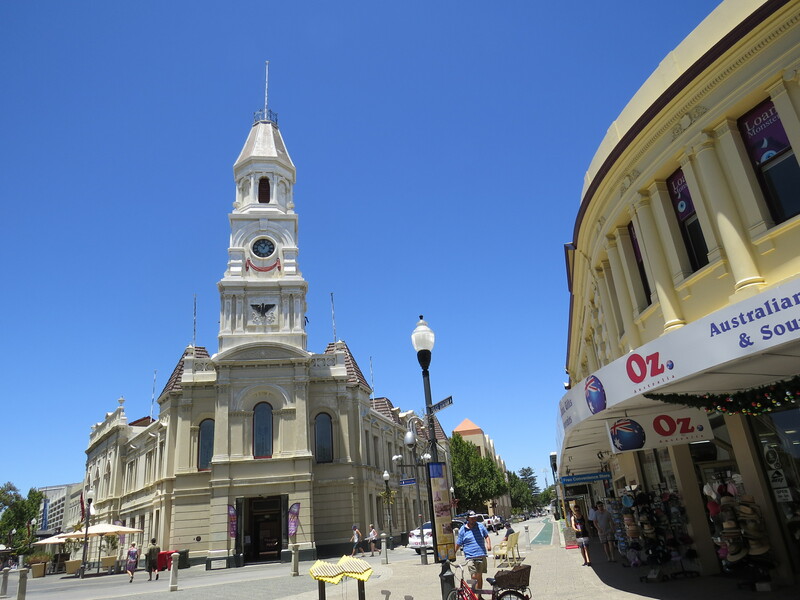 With this I Was able to travel to Fremantle where I took in the lovely period architecture…had lunch …then headed for Cottesloe Beach. It wasn’t difficult to find the beach…I Just followed the crowd…and there was no shortage of them….Not as crowded as Bondi Beach in Sydney….but a few too many folk for me to relax and have a swim. Contented with a brief paddle, I found a shady spot on the foreshore and started reading Alison Weir’s novel about Elizabeth of York. When it comes to reading in the sun …there’s nothing to beat a good old paperback. I have plenty of literature stored on my iPad….but sand and iPads don’t make good companions. Back at Perth I strolled out of the station in the opposite direction to which I entered…to take a look at the Cultural Centre. Needless to say, it is quite a step up from Stoke’s Cultural Quarter….there are outdoor events, including film…as well as a fine art gallery and museums. It is also the site of the State Library. Keeping to my plan of chilling out…I glanced at the wares on offer in the gift shop and got a inkling of the contents of the gallery and its exhibitions. Interesting and challenging! Instead of engaging with art.. I opted instead for a glass of iced coffee and another chapter of Weir’s novel. I have to be up early in the morning because there are very few shuttles to the airport. The sensible thing is to have breakfast at the airport. Having booked the flight…I was somewhat taken aback to find the YHA in Broome is closed for renovations until March. However, they recommended a local backpackers…which looks very nice. I have just booked for 3 nights initially…but may stay longer. Whilst it is warm here in Perth…I have been warned that it will be much hotter in Broome. Factor 50 sun screen is recommended! I am off for an early night. I ought to add ‘wet’ to that greeting…There is a cyclone affecting the area which means storms and downpours can be expected every day. Luckily, I packed two plastic ponchos …someone asked me if I’d bought my poncho in Broome…He was lucky too…I caught up with him later as he was boarding the town bus…he pulled a plastic garment resembling mine which he had managed to purchase locally. If you can’t buy a plastic poncho in Broome during the wet season….then someone’s missing a trick! The journey up was fine…apart from suffering from sleep deprivation…I didn’t sleep a wink until 4.00 am…I guess I was so worried about catching the airport shuttle. When I woke at 5.00am…I decided not to push my luck…but got up an hour earlier than planned. It was just as well because the Qantas check in system is completely automated…so I had to print off not only my boarding card and luggage label…but I also had to put it on the belt myself and confirm my bag’s destination. I have never been more grateful for the kind help of strangers who helped me through it all. Beaches of Broome is a former hotel that has been converted to a pack packer resort. It caters for people at both ends of the economic spectrum…you can book an individual ensuite room…or a dorm bunk. I chose a three bed dorm…which I shared last night with Rachel from Norwich…but it looks like I might have it to myself for the rest of my stay. Rachel had the dorm to herself until I showed up. Cable Beach, which is the part of Broome where the hostel is situated…is a delightful spot. The beach is only a very short walk away…and there are miles of empty pristine beaches as far as the eye can see. 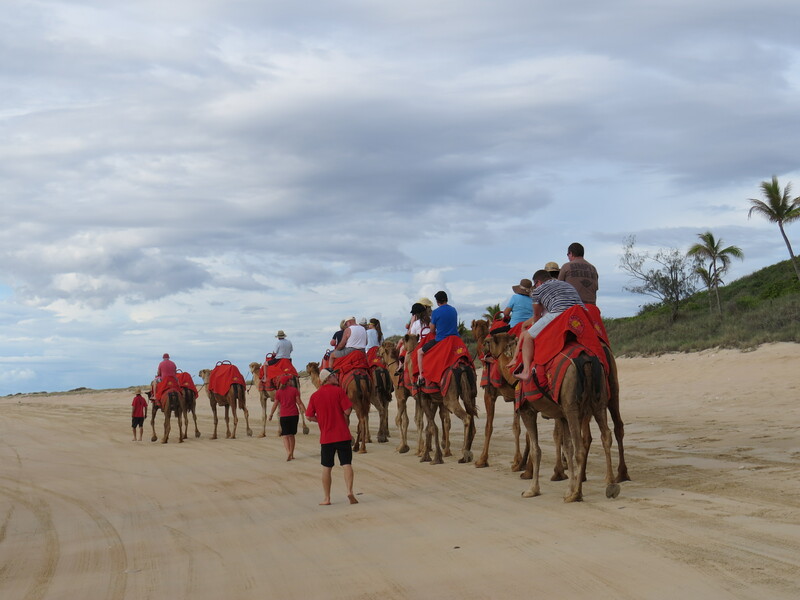 Just around the headland, is the spot where camel rides along the beach take place at various times of the day. The camel caravan appears to be divided into two teams…the blues and the Reds…but I’m not intending to seen supporting either. Last night I enjoyed a delicious meal of Barramundi…a local fish. It was expensive….I’m sure I could have bought an entire fish for the price…but it was worth it. The view over the beach to the Indian Ocean…was spectacular. After problems with the hostel Wi-Fi…the system now seems to working (if somewhat slower than back home)…I am indebted to Dave and Bonnie…who helped to overcome each and every difficulty. 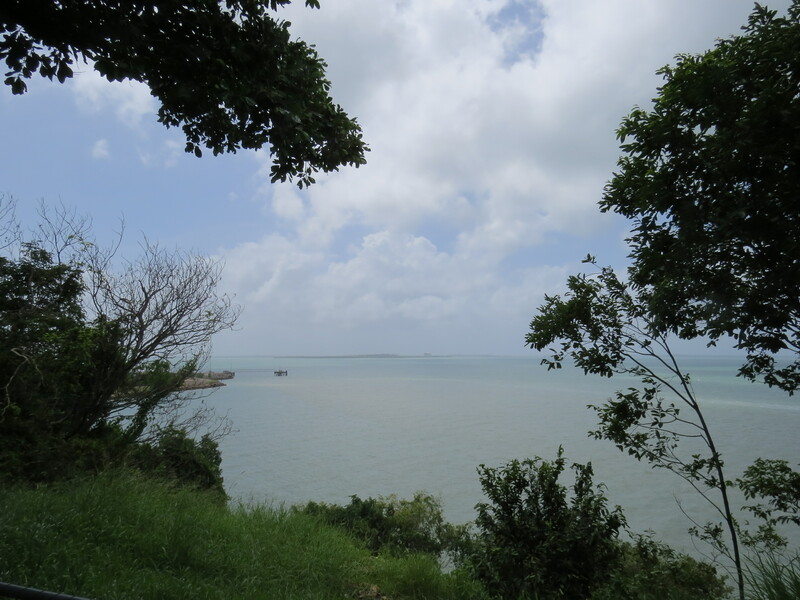 The walk from China Town to Town Beach….was informative as well as relaxing…I passed memorials to Japanese air attacks in the Second World War…and a cemetery devoted to pioneer pearl divers and military personnel. The scent, sounds and sights combine to explain why Broome has been described as a little bit of Paradise. I am booked on a hovercraft excursion….a first for me. Something to look forward to the next time the heavens open. I am sure I have benefited from the enforced rest caused by the tropical storms which have been the chief weather feature since day two in Broome. Looking at the situation from a positive point of view…the bad weather has brought me in closer contact with people…including an older Aboriginal couple who were sheltering at a bus stop from the rain. Amy, who comes from northernmost Canada, like Rachel, has also worked on the camel farm. Her account of how she would arrive early to get to know the animals was fascinating…like me she is a fan of Robyn Davidson; we have both seen the film and read ‘Tracks’ (Robyn’s account of her solitary journey from Alice Springs to the West Coast with a dog and four camels. Amazing! Broome is a bit like Stoke in as much as there are several centres… with no clear town centre. You might expect the Town Beach to be close to shops and accommodation…it is a water park with just public loos and a kids playground that are man made. 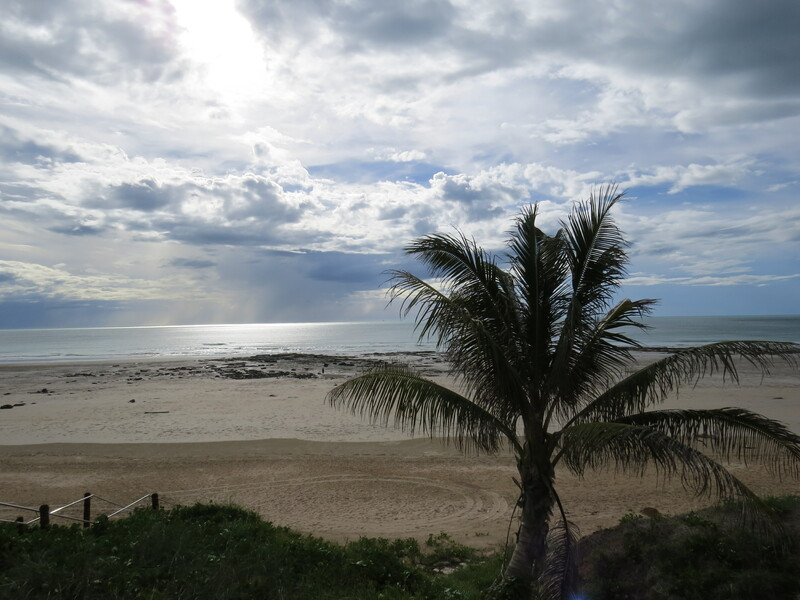 Cable Beach, where I am staying, was one of the initiatives of Lord McAlpine in an attempt to put Broome on the tourist map of Australia. The resort he set up is just opposite where I am staying and seems thriving…but his other venture…a Zoo has long since gone. Its demise is mentioned in Kangaroo Dundee by Chris (Brolga) Barnes. When I returned home on Tuesday night, I was surprised to find a little green frog by my door. It was a rainy night after a rainy day…and frogs like to come out when its wet. They make an incredibly loud noise for such tiny creatures. I was not tempted to let it sleep on my pillow or give it a kiss. Having posted a picture of the little fellow on Facebook…I received some amusing comments including Luis warning that you have to kiss a lot of frogs to find a prince! Broome Travel Centre is situated in the Boulevard Mall and its helpful assistant found me a flight at the weekend when the cost is lower…still more expensive than the flight from Perth to Broome. Qantas don’t fly this route…so I will be traveling with Air North. I managed to sort out accommodation at Darwin YHA on my iPad…and got confirmation printed out at reception. This has given me a little more confidence to book online in future. All being well, I will be taking a hovercraft sunset excursion this evening…weather permitting. It was postponed from yesterday. Next email will come from Darwin. In case you were wondering, there are three categories of cyclone alerts: blue, amber and red..if there is a red alert you should seek shelter immediately. This morning at Darwin Cathedral, I read a plaque dedicated to the victims of cyclone Tracy in which 71 people lost their lives and which destroyed more than 70% of Darwin’s buildings. The monsoon weather we have been experiencing doesn’t come anywhere near this degree of severity. The flight from Broome to Darwin was delayed…no doubt because of the weather…but it was a pleasant flight that was only half full. We called at Kununurra which has a more modern airport than Broome…we had to disembark but were allowed to leave our hand luggage on board. The flight over the Kimberley mountains was spectacular…and I had a window seat with a clear view. There was no sign of the airport shuttle bus at Darwin airport…and no one at the bus stop waiting for it. After doing a couple of circuits of the airport concourse in a fruitless search to find information…I gave up and took a taxi. I don’t like using taxis…it isn’t in the spirit of backpacking or hosteling. However, on this occasion I was too tired to worry about principles. The YHA had saved me a bottom bunk…and Jamie my dorm mate seemed pleased to have a genuine backpacker in the dorm as opposed to the other guy who is staying until he gets more permanent accommodation sorted out. The dodgy hosteller seems to be a high grade snorer …even the frogs stopped croaking once he got going! Luckily, the snoring didn’t last all night so I was able to get some sleep. Jamie by contrast, showed me where to buy food and pointed out some of the best places to eat….we ended up having a very pleasant evening meal in a Thai restaurant. In addition to Jamie, folk here …as in Broome…have been very kind and friendly…after the service in the Cathedral this morning, I chatted with the Cathedral organist over a cup of tea and scones with jam and cream! Fr Keith (the Dean) also made me feel most welcome. Tuesday, I am booked with a small tour company to go to Litchfield National Park…it is a full day’s excursion…and hopefully, some of the time it will be dry enough to take a few good photos. Tomorrow I am going to check out the possibility of taking a journey on the Ghan train to Alice Springs…rather than flying directly to Melbourne. It may prove to be too expensive…but we’ll see. 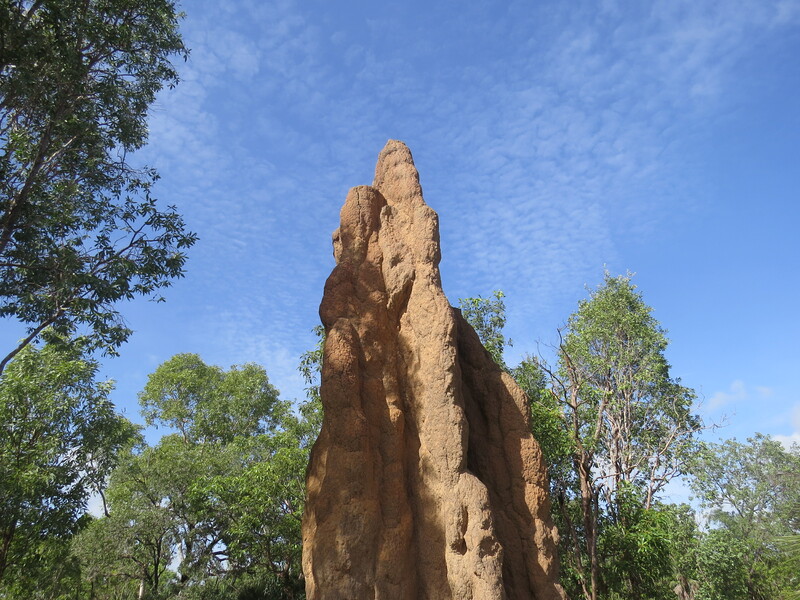 Hard to believe, but we had a perfect day for the excursion to Litchfield National Park. The driver Gordon provided an informative and often amusing commentary as we left Darwin heading through Palmerston to join the Stuart Highway that connects Darwin to Adelaide with only one town of any note in between…Alice Springs. Because of the heavy rains, all the waterfalls we visited were spectacular. I latched on to a young French guy who asked if he could have some sun cream…as he had forgotten to bring his. We got on well and found we shared a similar lust for world travel. He has taken a break from his government job to go round the world and has already spent time in central and southern America where he learned to speak Spanish. He is using the same strategy to learn English by staying and exploring Australia and New Zealand. He confessed that foreign language tuition in his school was dire…and he learned nothing from it. The rest of the small group (16) were sociable and friendly…so we got along really well. Lunch was included and was waiting for us when we arrived at Wangi Falls. These were the third set of waterfalls we visited…Tolmer Falls were the highest, Florence Falls you could get quite close to …if you were brave enough…but the Wangi Falls really impressed….perhaps seeing them after a very enjoyable lunch had some effect. What came as a complete surprise was a free Wi-Fi hotspot…right in the middle of nowhere…well to be precise on the track back to the bus. It was easy to missed because someone had removed the sign…but I guessed it must be somewhere in the vicinity because I spotted a solitary solar panel on a pole! Gordon, who knew exactly where the hot spot was…but was unable to configure his phone to connect to it. I had no difficulty and was able to send a photo of me in front of the Wangi waterfalls to Facebook and Twitter. Mr Snorer left on Monday…so we had a quiet, peaceful night last night. Tonight is my final night in Darwin…I’m so pleased I came…weather notwithstanding. I have enjoyed exploring its fascinating history….visiting its beautiful Botanical Gardens, Esplanade and Waterfront as well as meeting some of its interesting and colourful inhabitants. Tomorrow I will be up early again to catch the Ghan train to Alice Springs. I have a red seat…a gold cabin would have cost three times as much…I told the lady at the travel shop not to bother looking up the cost of a platinum cabin. There may be some additional expenses on route…but the cost is still a little less than that of an air fare. The trip on the Ghan train was an unforgettable experience….it was worth it just for the chance to watch dawn break and see the sun rise over the outback. Magical! There was only one Red Seat carriage in a huge long train….the remainder were either Gold or Platinum Cabins. However, we had our own restaurant car which offered a choice of menu for breakfast, lunch and dinner…as well as drinks and snacks. Needless to say…I met some interesting people on the train and on the excursion at Katherine. 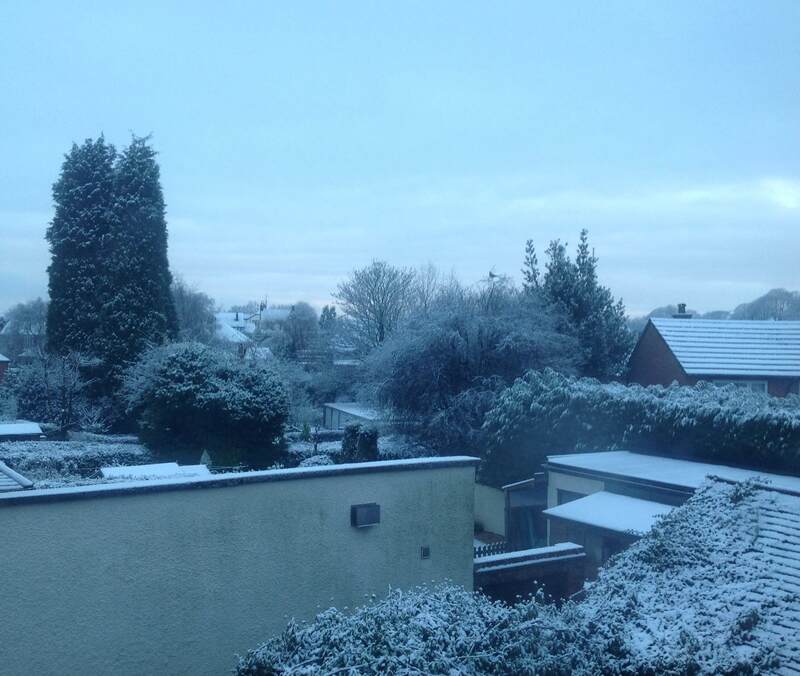 Foolishly, I packed away my poncho…believing that the weather would be better further south. How wrong could I have been! The heavens opened just as we approached the point on the Two Gorge cruise where passengers are supposed to disembark, climb over a rocky path to a higher Gorge and take another boat. I’m surprised more people didn’t stay put. I certainly seized the option. One poor soul lost her footing on the slippery rocks and fell…and all of those returning from the second Gorge looked like drowned rats. Needless to say, I didn’t escape getting wet myself …because it was still raining when the bus got back to the station…and our carriage was towards the front of a very, very long train. Thankfully, I soon dried out…which is just as well because I didn’t have a change of clothes in my hand luggage. A tasty mild chicken curry with a glass of Chardonnay put any discomfort out of mind. In Red class the seats recline much further back than in an aircraft…but they aren’t very comfortable …so I didn’t get much sleep. The upside …as I have already mentioned ….was seeing the incredible skyscape …vivid colours …scarlet reds, rich purples and shining golds of a unique Outback sunrise. The long journey allowed me to finish Phillipa Gregory’s novel The White Queen about Elizabeth Woodville the mother of Elizabeth of York…the subject of the book I brought with me about the wife of Henry VII and the founder of the Tudor dynasty….both fascinating novels about a turbulent period of English history. 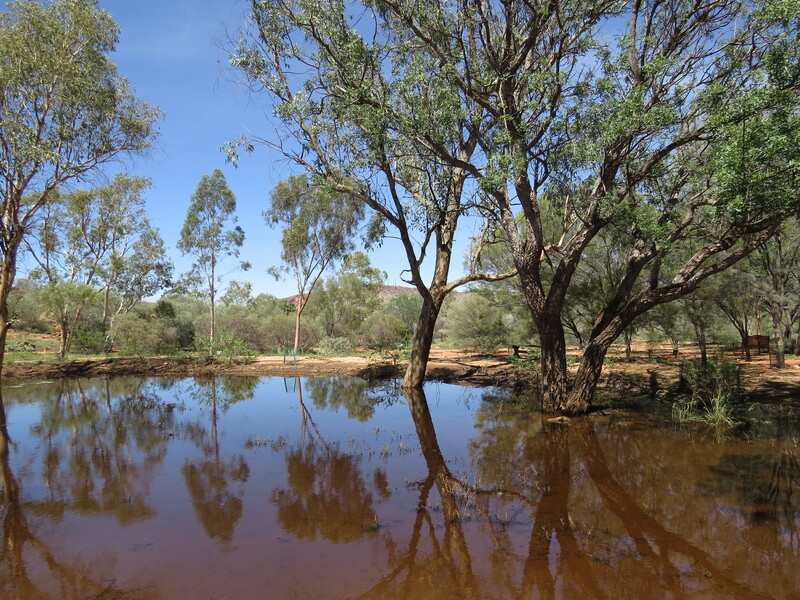 It was a joy to return to Alice Springs with such glorious weather. The river Todd where two people recently lost their lives is still flowing quickly…but nothing like the dangerous roaring torrent of last week. I noticed a group of local Aborigines wading across the river…which gives you some idea of the present state of flow. I am sharing a four bed dorm with Richard and Jack ….both students at Queensland University in Brisbane….we have already had a long chat about our academic experiences…as well as sharing our knowledge of New Zealand and Australia. They are off to visit Uluru early in the morning. 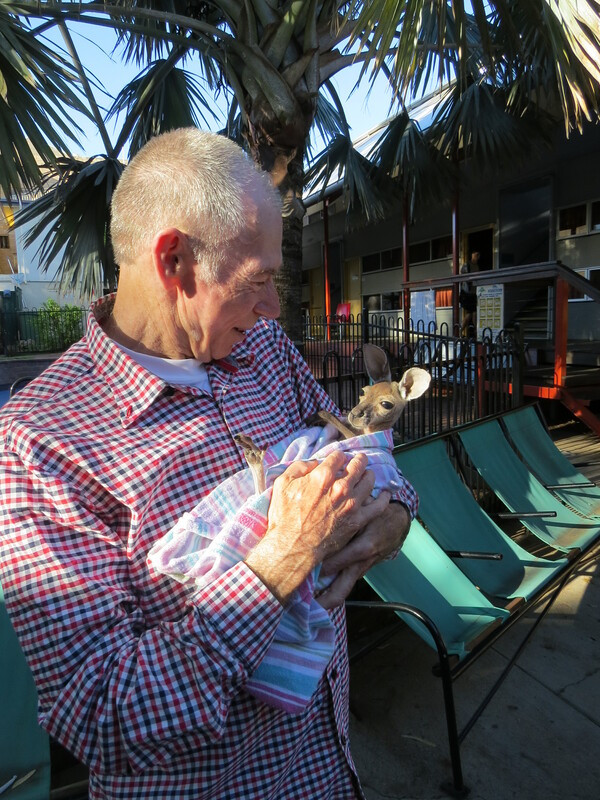 Amy, the kangaroo mum who works at the YHA called round….so I was able to find out that Archie and Ali, the baby orphan kangaroos I met last year have both been successfully released back into the wild. I was hoping to visit the kangaroo sanctuary tomorrow….because I was told it was open. Amy challenged this incorrect information…just like last year….the sanctuary is closed until March. There has been a new development though…the sanctuary has taken in its first camels…and Amy tells me they are absolutely adorable. After a quick shower and bite to eat…I had a much needed nap. Since then I have done a load of washing which should be dry soon. Tomorrow, I intend to stroll down to the Botanical Gardens…who knows I may see a baby dinosaur like last year. As I expected…I have really enjoyed my stay here…perhaps it’s the fact that I know people and it is good to be able to slip into their lives again….even though it is for a very short time. Last time I met Archie and Ali…two orphaned kangaroos who were being looked after by Amy…at the YHA. 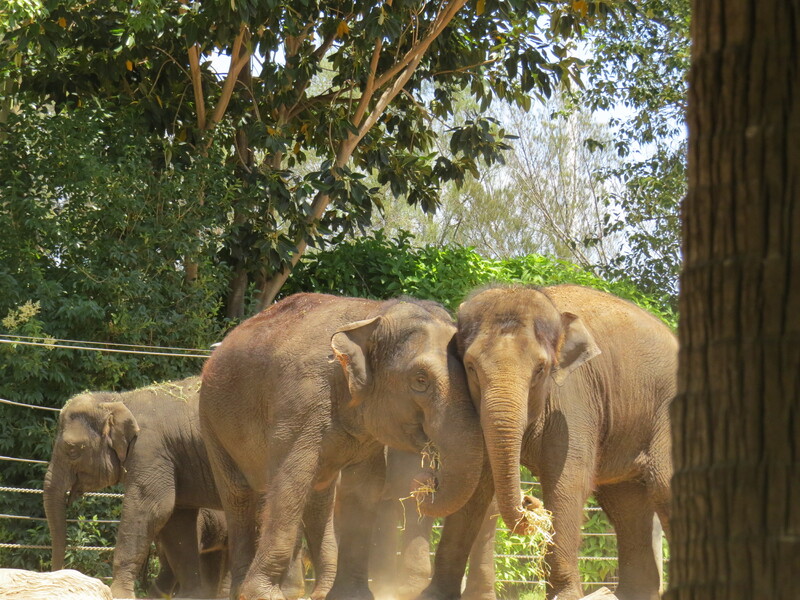 They have both been successfully released into the wild together… Ali was younger than Archie so Amy thought of keeping her a bit longer…but it was clear there was a strong bond between them so it was only right they should be released together. It was a quiet day yesterday …I guess like most days in Alice….apart from the odd raised voice of domestic discord amongst members of an Aborigine family. Surprisingly, I was engaged in brief exchanges with a couple of local Aborigines…so I guess I must have a friendly…or at least a non-threatening one. Gordon the YHA manager recommended a barber on Todd Street to have my haircut. Unfortunately the name he wrote down was the Memorial Centre…which actually turned out to have been abbreviated to the Memo Centre…so I walked straight passed. It was only when I was approaching the edge of town that I realised I had missed the shop. The map showed it was way back at the other side of the hospital. It was worth the effort…I was third in the queue so had a chance to look at an amazing collection of old film posters. There was even a photo of Buster Keaton….which I recognised from his classic film Safety Last which was screened at the Victoria Hall in November…brilliantly accompanied by Donald McKenzie on the organ. My visit to Olive Pink Botanical Gardens was rewarded with frequent sightings of wallabies…including a mum with her Joey lying in the shade. It was a pity that the cafe was closed because I had intended to have my lunch there. No matter…I used the time to explore all of the different sections of the site. The gardens are not on the same scale as the botanical gardens in the big cities…but they are still interesting with a concentration on indigenous species. Olive Pink was a remarkable …if eccentric …woman who did much to champion the rights of the local Aborigine communities. This morning I had the pleasure of looking after Buddy…the latest orphaned Joey being cared for by Amy. He looked so cute hopping around in his nappy. He will be with Amy for some time yet…and is a real bundle of fun. I said goodbye to my dorm mates who are visiting the McDonald Ranges today…so they should see some wallabies there. It is such a pleasure to meet lovely people as Richard and Jack…I wished them every success with their degrees and their future careers. Before I go to wait for the airport shuttle…there will be time to show Amy the photos we have taken of Buddy…and exchange Facebook details so that we can stay in touch. It is definitely cooler here than in Alice…the flight over the outback showed just how much of Australia is desert. Actually, I think the correct term is arid landscape. The Outback stretched all the way from Alice Springs to the outskirts of Melbourne. The view from several miles high I could see that rusty reds and bleached sand colours predominated…this huge canvas seen from the air contained darker straight and curved lines which give the impression of an enormous, constantly changing abstract painting. Awesome! Having become used to electronic check-in systems….I was surprised and delighted at Alice Springs Airport to be dealt with in the old fashioned way. The polite, friendly Qantas staff got through the procedure much faster than I could possibly have done myself….they beamed when I told them they were much more efficient than the automatic self-check-in. Yesterday was Midsumma Carnival at Alexandra Park. I met up with Paul, Gordon and Sangita at Joy Radio Station…and politely responded to Gordon’s words of welcome with comments on the contrast of current weather conditions in our respective countries. I was impressed by the dedication of this small team who get up early every Sunday to produce a two hour programme from 7.00 to 9.00 of music and chat. Gordon is the star….he also has his own three hour programme at 9.00 on Wednesdays. Once we arrived at the cars parked earlier close to Alexandra Park…I helped transfer books, banners, Poky Boards and other paraphernalia to our site…which was alongside the main pathway. No doubt this location was the main reason that the Vintage Men’s stall did so well this year. Gordon had to return to his car to bring all the reserve stocks of books. At $1 each…perhaps it is hardly surprising they sold like hot cakes…some were brand new…and a many were out of print. The Poky Boards did well too: they were banned by the Premier of Victoria in 1950 because he considered them harmful with the potential to lead people taking up serious gambling. The ban has since been lifted…but like small lotteries (raffles) in the UK you need a licence to use them. I was glad I wore two layers of clothes….because it was quite chilly and breezy to begin with…but by lunch time the sun had come out and the temperatures rose to 36 degrees Centigrade. May be it was the cooler weather that brought out the crowds…but numbers were well up on last year. Paul remarked that the situation around the main stage and catering areas was dangerous on account of overcrowding. The LGBT Band and Choir had both performed before the situation described by Paul…because I was able to make my way to the front to take photos of both performances…which I thought were really good. Like Prides in the UK, there was a strong presence of HIV organisations….including an instant testing clinic. We hoped to have one at Stoke Pride last year…but for whatever reason…it didn’t happen. All issues in Melbourne were clearly overcome…the clinic functioned well…with a steady stream of people taking HIV tests. It will be good to have time to take things relatively easy for the next week…I intend to go to the beach…but I have also committed myself to attending a number of Vintage Men events, have a meal at the Positive Living Centre as well as taking part in a rehearsal of the LGBT Chorus on Wednesday. The cheap sunglasses I bought in New Zealand years ago served me well….but when one of the hinges broke…I had to resort to wearing my backup pair of expensive glasses…imagine my delight yesterday when I was handed out a pair of UV protection sunglasses for free. People take the effects of the sun seriously down here! Next week at this time I will have arrived back to a dark northern winter…so I am making the most of the gloriously sunny weather here in Melbourne. Today I went to the zoo. The Lion Gorge Zoo spreads over acres of ground and has a surprising diversity of habitats. The elephants, baboons, and meerkats seem to be particularly well provided for. There were still too many creatures in confined spaces for my liking…but I also saw plenty of apparently contended animals. Friday I thought would be less busy day at the zoo than Saturday….but it seemed to be babies and toddlers day…there were so many of them. On the upside whenever there was a crowd…I could see over the top of the tiny tots’ heads. Whilst I know I didn’t visit all of the enclosures …I reckon I’ve seen enough to get a feeling of the place…and it’s strong commitment to help with the preservation of threatened species….which include the Philippine crocodile! It has been a busy week…full of interesting people, events and places. The director of the Melbourne LGBT Chorus welcomed my contribution to the rehearsal on Wednesday…and encouraged me to sing with them on Australia Day. Paul is picking me up early on Monday so that we can find somewhere to park…I have sorted out what to take for a picnic lunch…and have been practising the pieces with the help of YouTube and borrowed scores. Monday was spent at the Royal Botanical Gardens…it was such a treat to have the time to wander and explore parts I never knew existed like the Volcano Garden…which is instructive about the importance of water conservation as well as being a delightful feature in its own right. 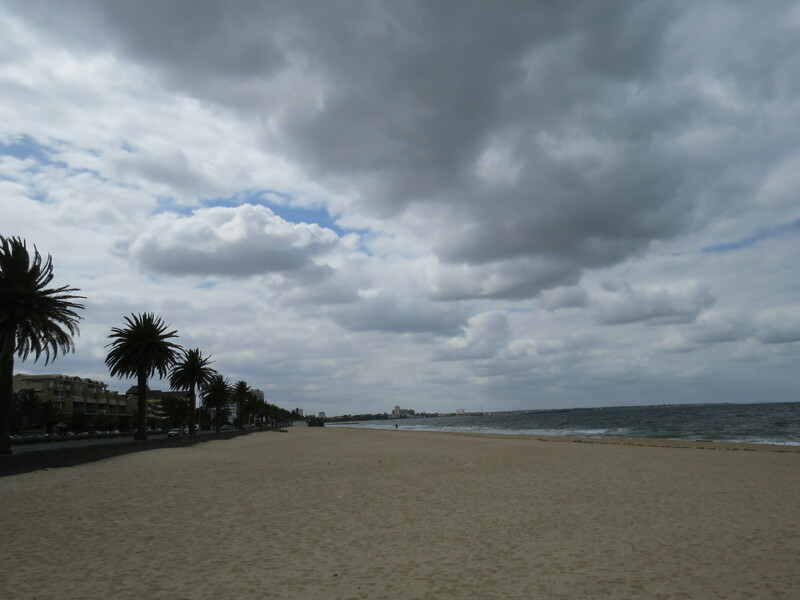 Tuesday I went to the seaside…well…I went to St Kilda Beach…which was a bit crowded…so I made my way to the pier where I had enjoyed an excellent meal in 2013. The standard was just as good …if not better. I chose the pan fried catch of the day on a bed of shredded fennel with fresh leaves and pomegranate seeds. For dessert I had the black cherry roulade with an Orange sauce…that had a surprising kick to it…I guess the sauce was more Cointreau than orange juice! Memorably delicious! Wednesday I visited St James Old Cathedral and was met by Alan who is a retired Electrical Engineer and assistant organist. He is a man of many talents…and demonstrated the delightful tone colours of this lovingly restored instrument. I didn’t have any music or organ shoes with me…but Alan encouraged me to explore the instrument through improvisation. Sandals are no substitute for organ shoes. Last night I was invited to an evening meal at the Positive Living Centre at the old Braille Library. Gerry and Heather made me feel most welcome. I passed on the latest issue of Baseline and explained the way the NLTSG residential weekends function. Gerry was particularly interested in our recently diagnosed weekends…as he runs a similar project at the Centre. I ate with Mark who was interested to know my views on Coronation Street…we both lamented the sad death of the actress who played Deirdre. Mark introduced me to a lovely couple David and Dennis…I told them of my experiences of meeting orphaned kangaroos and a ‘baby dinosaur’. It seems that as a young boy Dennis was kicked by a kangaroo and attacked by a goanna…no wonder he didn’t share my enthusiasm for the creatures. 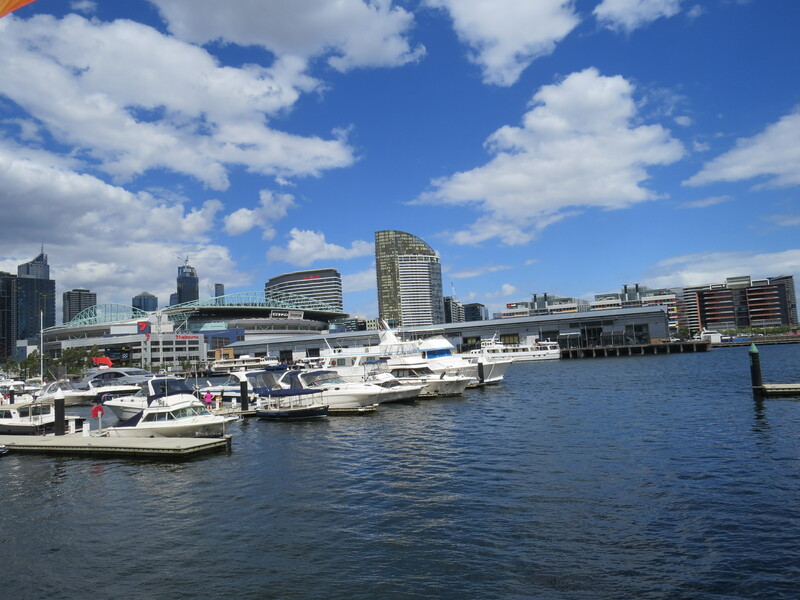 Instead of booking expensive excursions….I have concentrated on going to places close by: Melbourne has so much to offer. The tram I caught this morning didn’t go all the way to the Zoo…but I noticed from the map that it was just the other side of a Royal Park….wild compared to the Botanical Gardens…but beautiful none the less. Similarly, when walking from the YHA to the supermarket on Errol Street…each time a spot another architectural gem. This time it was some intricate modern wrought iron work next door to a classic Bauhaus style bungalow. Amazing. I was planning to visit Brighton Beach tomorrow …but it is too hot to spend another day in the sun…so I am going to indulge myself in a little bit of culture with an art exhibition in the morning and a matinee performance of a show recommended by Heather in the afternoon. The permanent collection the NGV was also enthralling. Paintings and artefacts such as pieces of furniture or items of clothing are exhibited in the same spacious galleries which range from medieval times to the present and are divided between European and Asian traditions. You can explore the treasures of the Gallery here National Gallery of Victoria Afterwards, I caught a tram to Carlton where I viewed the retrospective exhibition of Ross Watson. I was made to feel most welcome by the owners of the gallery and their friendly fox terriers. Full scale art works are far more revealing and rewarding to view than smaller replications…and this was certainly true of the pictures which I had seen in the advertising material…good as they were. I couldn’t afford a print…and the book catalogue would have pushed my baggage allowance over the top. They intend to bring the collection to the UK again…so I promised to buy a book then. After a very nice lunch at a restaurant recommended by the gallery owners…which was situated opposite a lovely local park…I set off for a matinee performance of the Art of Being Still Part Two: The Gathering of Vampires. It is an 80s tale of love friendship, loss and triumph. The words HIV and AIDS were not mentioned …but they dominated the play. I promised to try to see the company when they return to the Edinburgh Fringe next year. I have never been to the Edinburgh Festival…now I have an additional reason to go. Yesterday was Australia Day when I joined the Melbourne Gay & Lesbian Chorus and Rainbow Band at a fundraising picnic at Forest Glade, Mount Macedon. The word ‘mount’ should have alerted me to the fact that the event would be at a somewhat higher altitude than the city. Fortunately I took my jacket with me…otherwise I would have suffered from hypothermia. I jest…but it was really cold at times in short and sandals. Paul picked me up from the YHA shortly after 8.00 am so that we could grab a parking spot close to Forest Glade…no sooner had we parked than a large 4 X 4 turned into the house drive and someone got out. Paul recognized Cyril the owner and called to him. Cyril invited us to climb in and took us up to the house…he then showed us round…it seemed as if every room was a museum or art gallery…even the dining and music rooms. Paul told me that Cyril doesn’t normally allow anyone to touch the piano…but he gave me permission to play…and decided that the instrument wasn’t in such a bad condition as he’d though. The mahogany grand was a beautiful piece of furniture but it was also a fine musical instrument…just in need of tuning. I thoroughly enjoyed singing with the chorus…and Steph the conductor seemed pleased to have an additional bass as this section was the smallest in the choir. 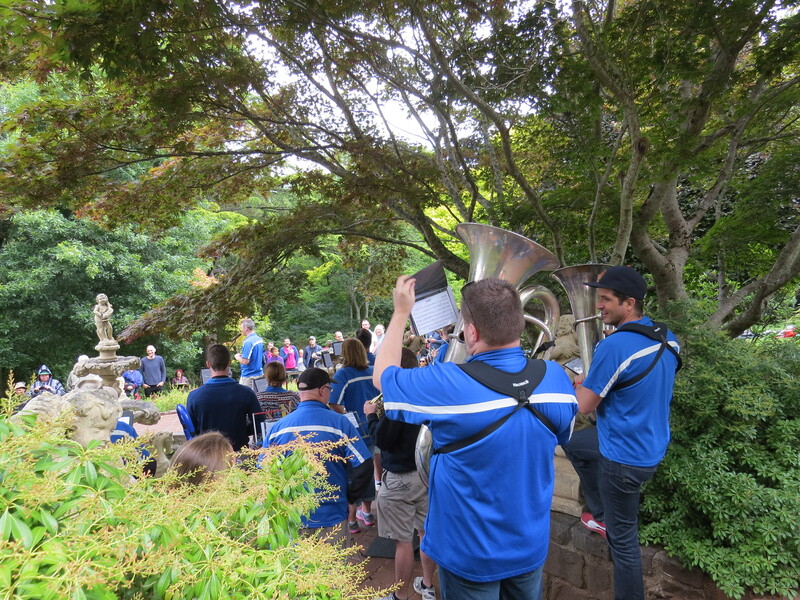 Our final item, Advance Australia Fair, is the national anthem…so it was appropriate that the band and choir joined forces to round off a most memorable occasion. Yesterday was overcast…which means that it was pleasant to walk about. I had intended indulging myself with one or two of the mouth-watering pastries I saw at St Kilda’s Beach…However, I restrained myself and made do with a piece of carrot cake with coffee at the Gas Works Arts Park. Melbourne has so many parks of all shapes and sizes…the Gas Works is a big open space with a few trees and shrubs in which several sculptures have been placed. (Some have survived better than others) The space seemed to be well used…not only by art lovers visiting the various galleries and theatre…but also by local adults and children…plus their dogs. Yesterday could have been a doggies convention….there were so many of them…all having fun whilst their owners gossiped. There were a couple of exhibitions I wanted to see that were part of the LGBT Midsumma Festival. ‘Home Free’ was a small collection of works by a gay black artist that charted his story from oppression and discrimination to the wonderfully accepting environment that Australia offers today. The other exhibition in the foyer of the theatre was a collection of artists’ works in a variety of styles and media…but on similar themes. I’m glad I made the effort to see them. Lunch was at the Melbourne Museum where I was able to see some of the sections I had missed on previous visits. My last evening meal was supposed to have been on St Kilda Pier…but I hadn’t checked their opening times. They only do dinner on Fridays and Saturdays…so I had to make do with the Beachcomber…which had a splendid view of the sea and produced a very tasty grilled Atlantic salmon on a bed of sweet potato. Not bad! I have thoroughly enjoyed my holiday. Apart from visiting new places and meeting lots of lovely people…as well as renewing old friendships…I have held in the palm of my hand a piece of a meteorite and bits of a shooting star….surprising how heavy the small piece of meteor weighed…and awe inspiring. People have suggested things they would like to do with me next time I come…but I have yet to travel to Latin America! Come this time next year…I can see tough decisions will have to be made. My bags are packed apart from a towel which is drying…once that is done, I will be ready for the airport shuttle to pick me up. The long …13 hour… flight from Hong Kong to Manchester passed relatively quickly… with a film …The 100 Foot Journey …some American TV and a surprising amount of sleep. The fact that I had two seats to myself helped. There was just one misadventure…I lost my glasses…which flight attendants were unable to locate and which I eventually found after landing…using a torch crawling on my hands and knees. Our flight arrived 10 minutes ahead of schedule…Scott was delayed by bad traffic conditions…so it was a huge relief and a great joy to finally spot his smiling face. Traffic was heavy for early Thursday morning and what a load of bad weather!…luckily the heavy snow fell after we arrived back home. It is hard to accept that I have spent almost a month in Australia…Just looking out over snow covered roof tops makes the notion seem unreal. However, there are plenty of photos and video clips to prove to myself that I really was there…and of course I have clear, strong memories of unforgettable moments…such as nursing Buddy the baby orphaned Joey in Alice Springs…seeing the waterfalls in full force at Litchfield National Park…spending quiet time in many botanical gardens…and taking part in social and cultural activities with wonderful, friendly people.